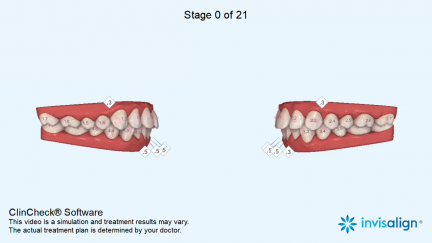 You’re ready to become a provider. 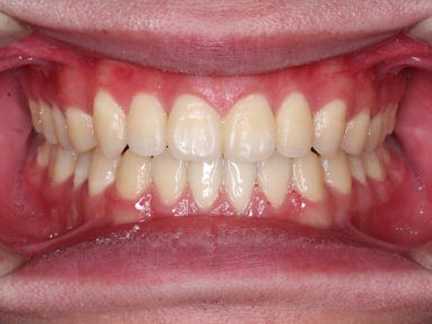 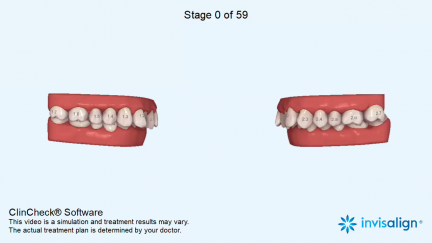 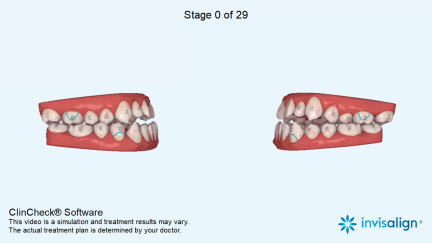 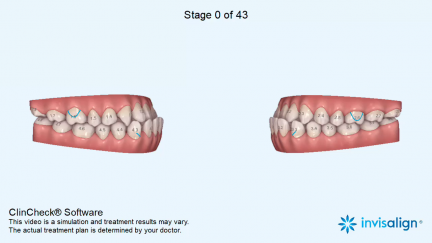 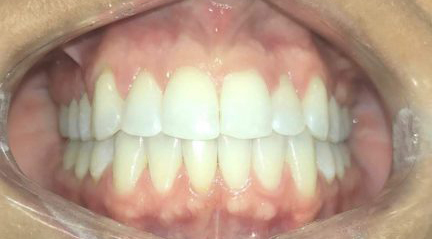 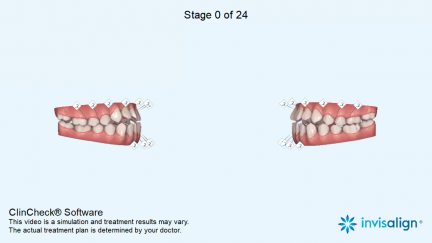 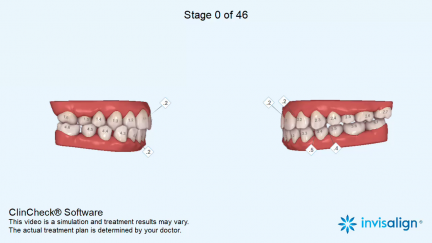 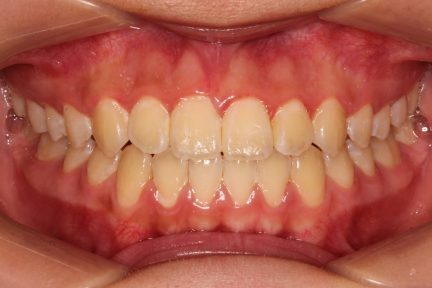 Review before and after photos from patients treated with Invisalign. 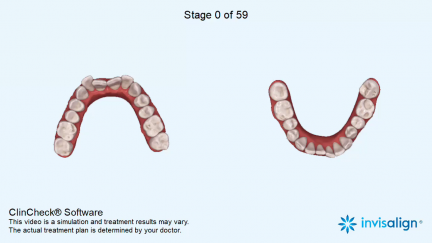 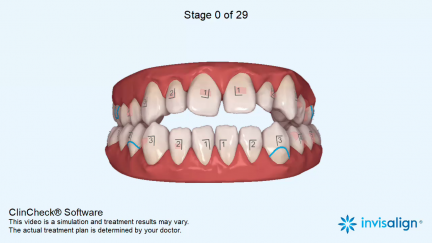 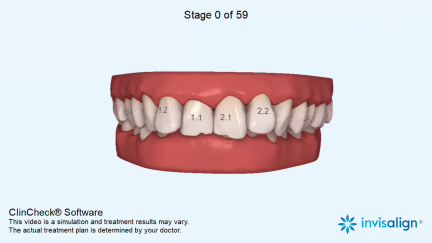 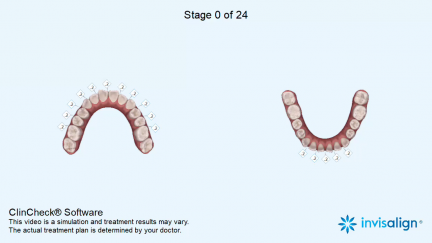 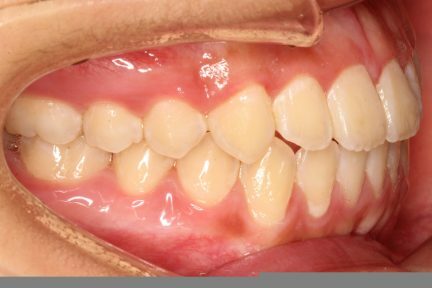 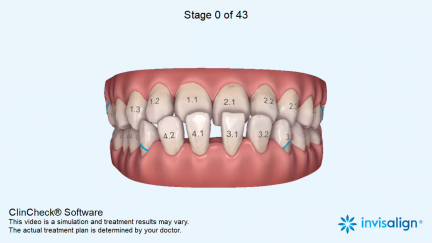 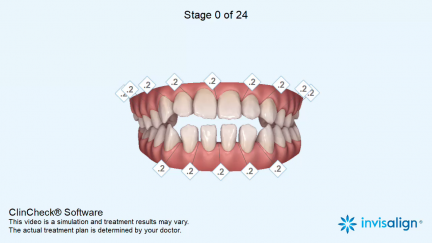 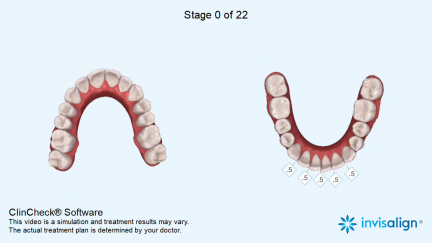 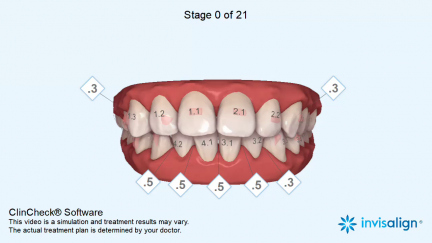 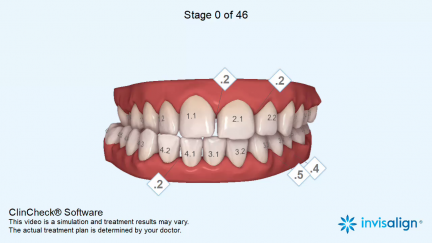 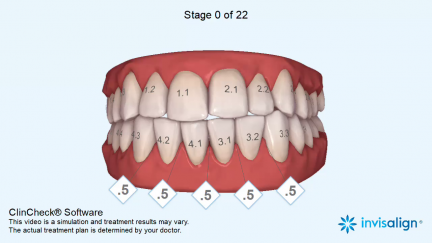 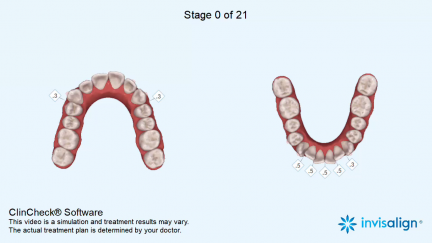 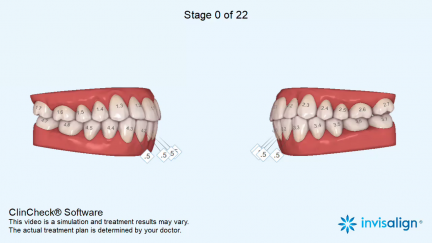 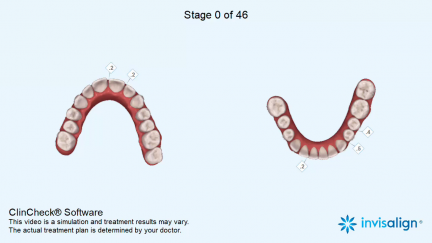 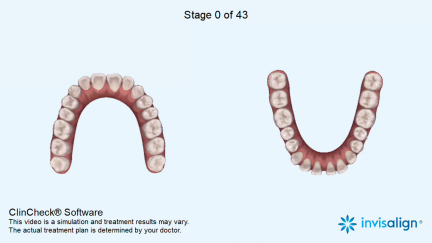 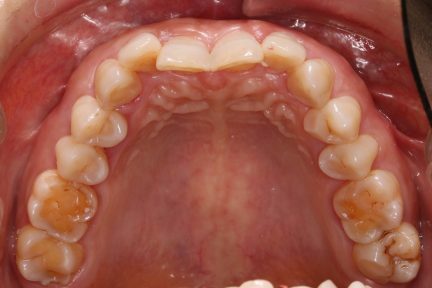 This gallery is intended for doctors and their teams to use when discussing potential treatment outcomes with patients who are considering Invisalign treatment. 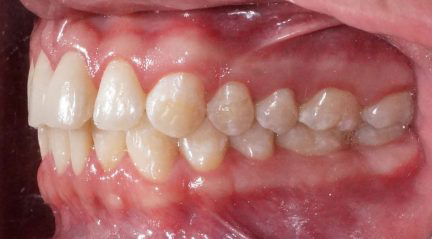 A previous expansion of the maxilla was done. 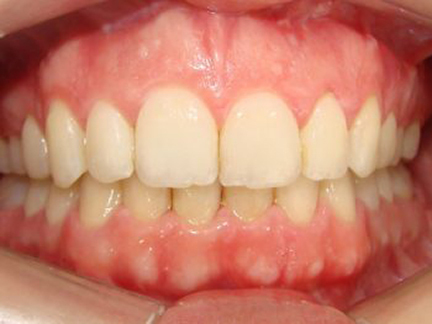 After the expansion this case was prepared for orthognatic surgery. 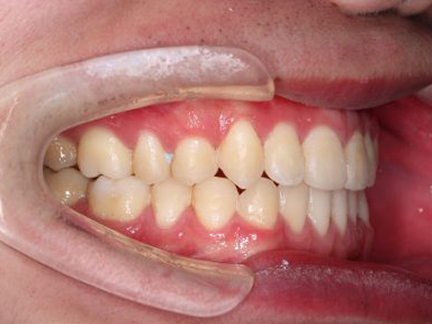 Only Invisalign―without any other appliance or need for elastics―was used for the preparation. 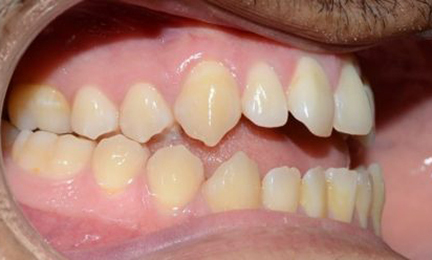 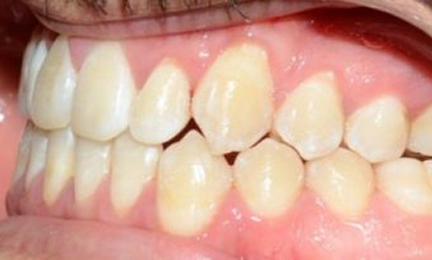 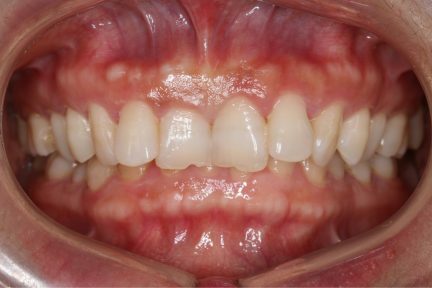 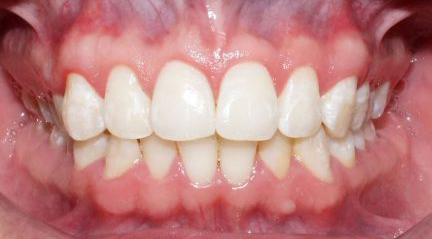 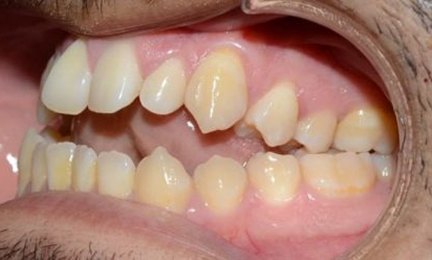 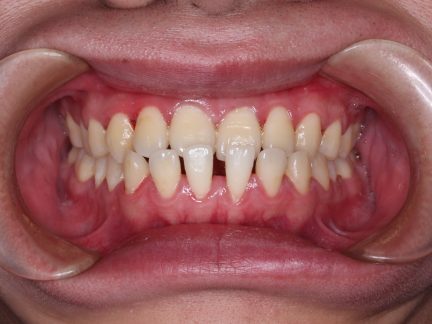 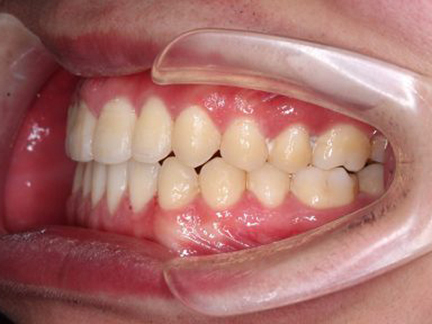 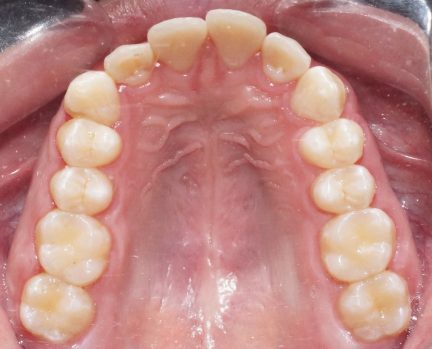 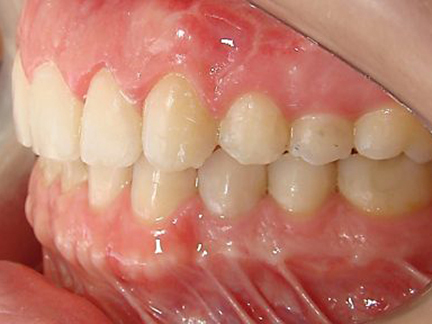 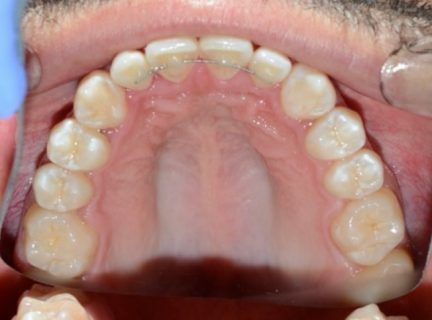 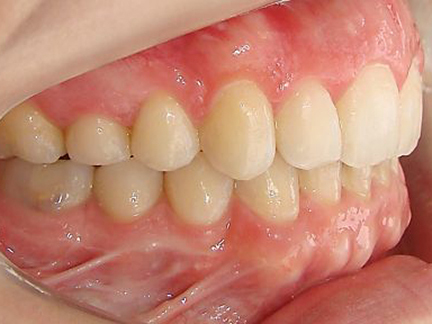 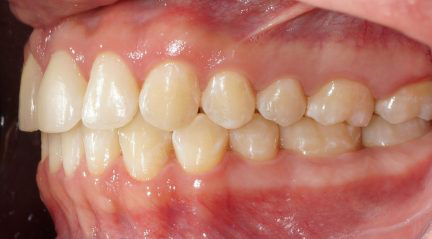 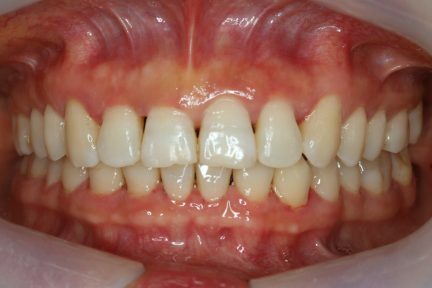 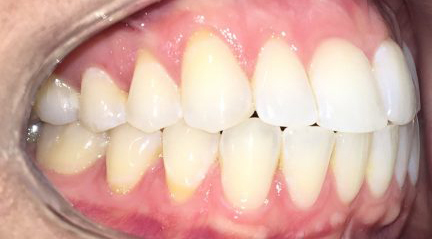 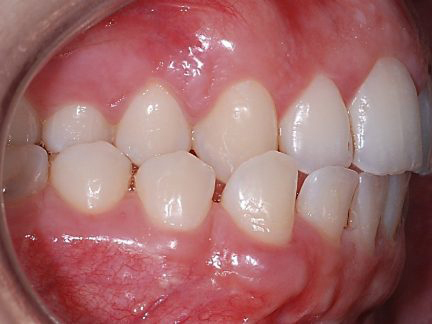 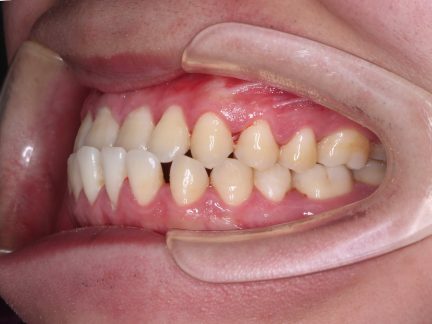 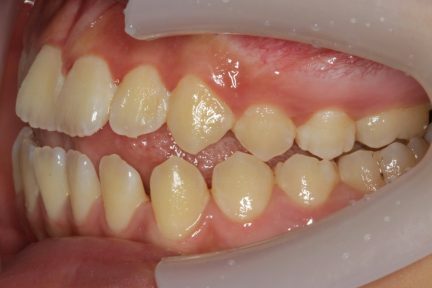 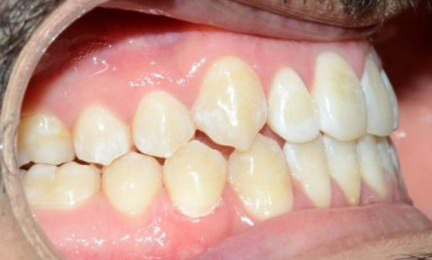 Overcorrection of the posterior crossbite was planned to ensure no premature contacts in the immediate postoperative period. 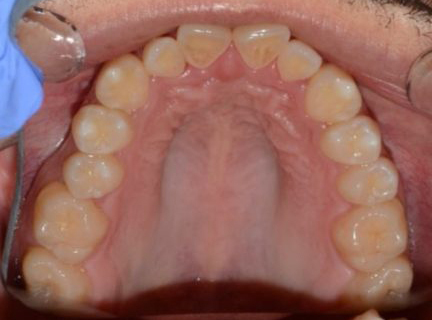 Between 3.4 and 3.5, only 0.3mm IPR was used to strengthen the closure of spaces. 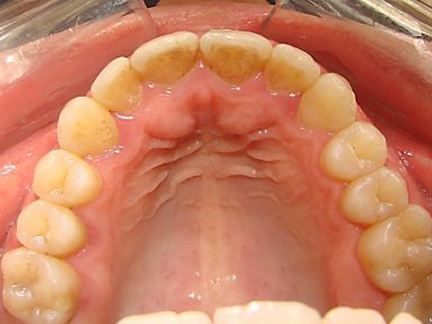 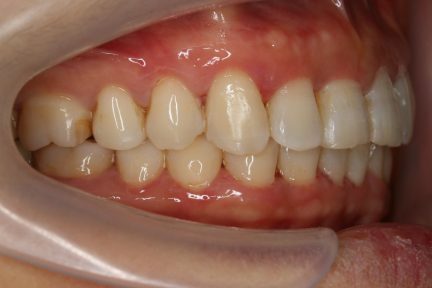 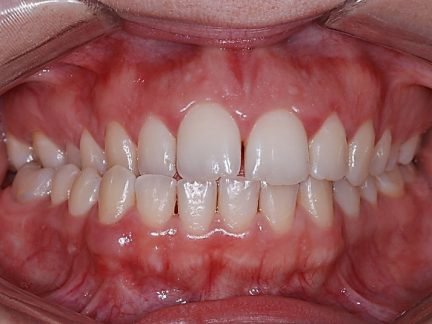 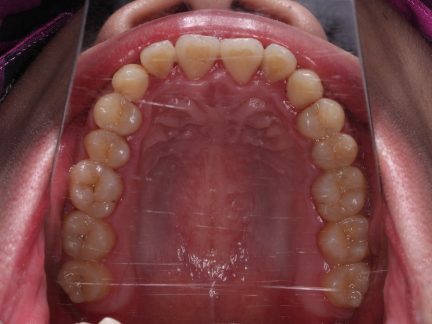 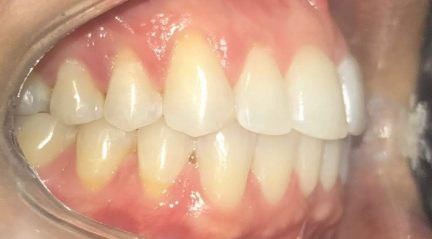 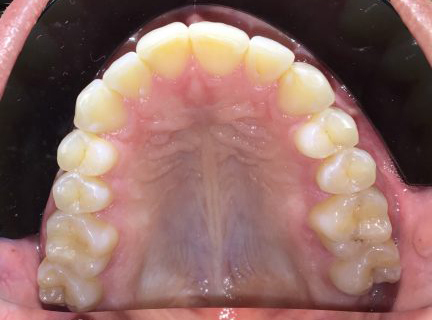 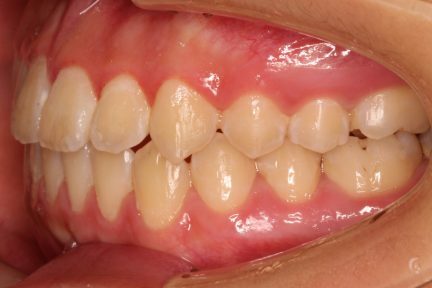 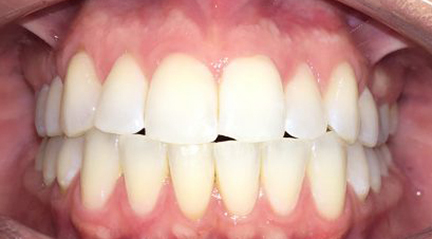 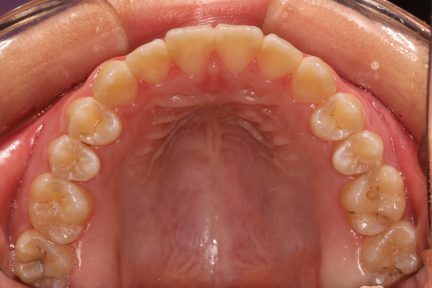 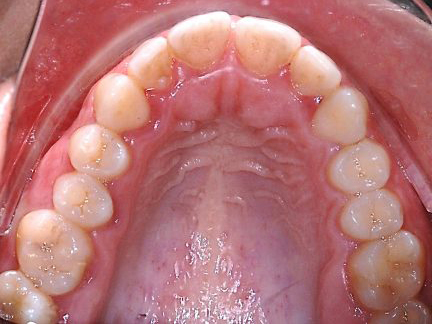 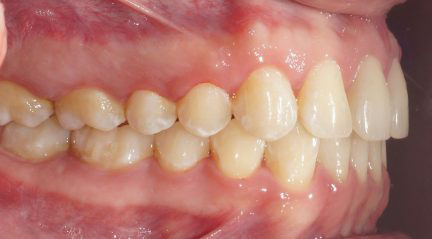 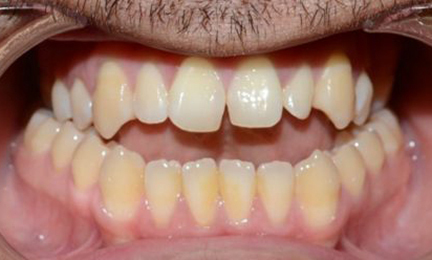 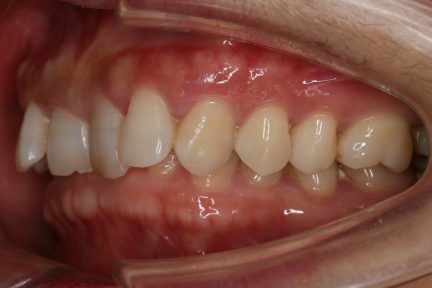 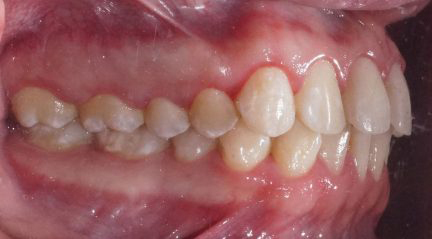 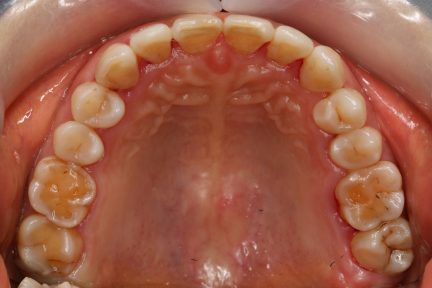 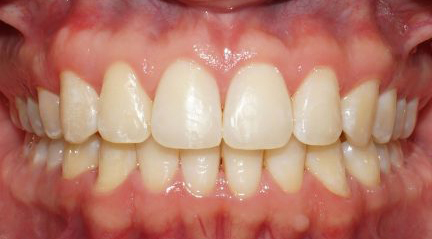 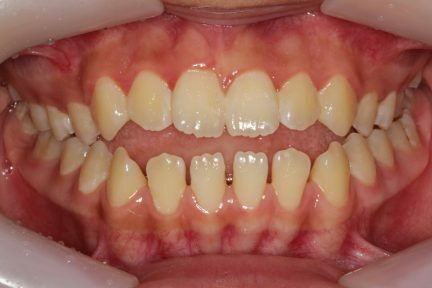 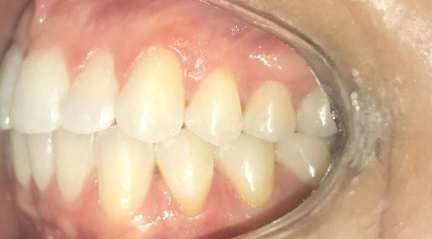 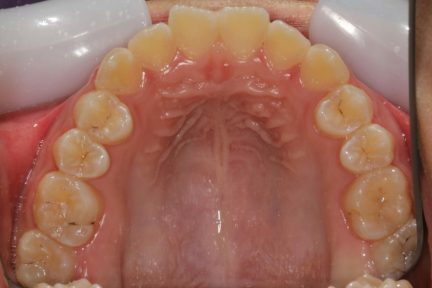 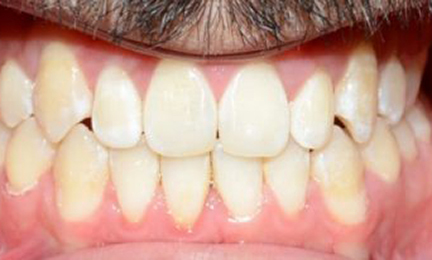 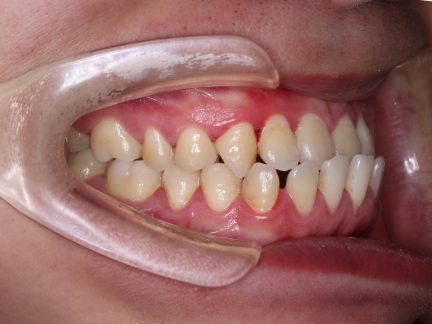 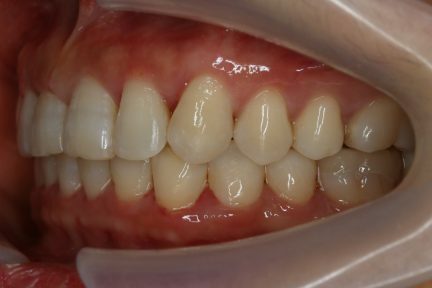 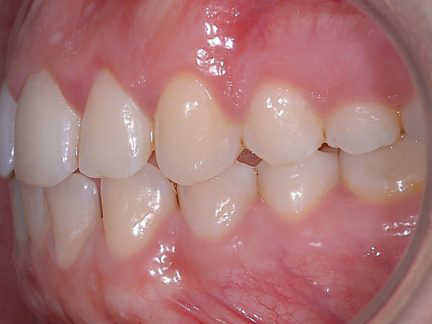 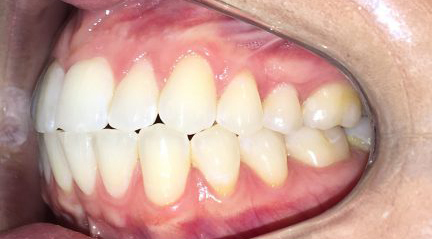 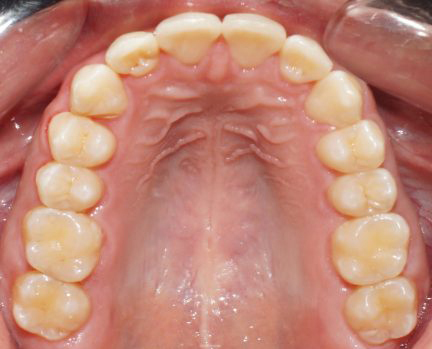 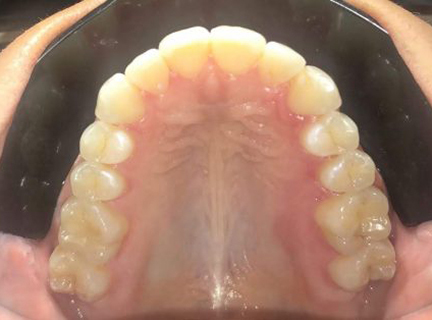 Small midline deviation was corrected with additional aligners. 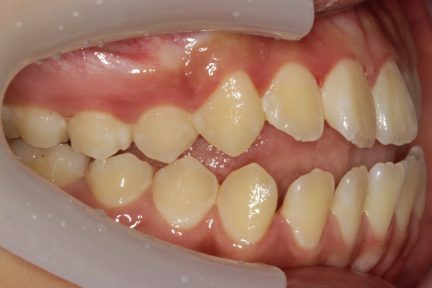 Tooth 1.7 was extracted because it had no antagonist; patient did not wish to place an implant in the region of 4.7.